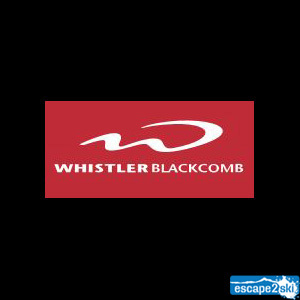 Whistler Mountain at Whistler Blackcomb & Escape2ski provides info on; vertical drop 5020ft/1530m, total trails 100+, closest airport 85mi/138km, and more. Whistler Mountain at Whistler Blackcomb is a ski and snowboard resort located in beautiful Whistler, BC. Whistler Mountain is part of the Coast Mountain Range of British Columbia and officially opened on January 15, 1966 with a gondola, the Red Chair and two T-Bars at what is known today as Whistler Creekside or simply, Creekside. It is one of two mountains that makeup what is commonly known throughout the world as Whistler Blackcomb. Whistler Mountain and Blackcomb Mountain were originally separate resorts until they merged in 1997 into a single ownership group. Whistler Mountain is north of Vancouver off Highway 99, also known at the Sea to Sky highway. When the weather is on your side, the drive offers the most breath taking views, both when travelling north to Whistler and also on the return trip south. Along the way, there are many areas to stop and capture postcard memories. Whistler Mountain at Whistler Blackcomb is part of one of the largest ski resorts in North America and was the first mountain resort outside of the USA beginning in 1991 to be named No.1 by a major American ski magazine and No.1 by Skiing Magazine for 13 years in a row. On a recent visit to Whistler Mountain Resort, Escape2ski recalled a postcard from about 20 years ago that said, Thinking of you Always with “always” crossed out, Thinking of you Often with “often” crossed out and finally, Thinking of you when I can. Whistler Mountain at Whistler Blackcomb will whisk you away from your everyday existence and provide you with a fabulous experience that you’ll never forget. Access to Whistler Mountain is available from two different village areas, as well as, the Peak2Peak Gondola. The first is Whistler Creek, commonly known as Creekside, which is the original base of Whistler Mountain. You can also reach the slopes from the main village known as Whistler Village. The terrain on Whistler Mountain offers both variety and challenge for all ability levels. One way to experience all that Whistler Mountain has to offer is to take the Whistler Village Gondola to the Roundhouse Lodge and then ride the Peak Chair to the summit. At this point, you will have several options to make your descent. You can make your way through one of the many bowls or take the long, leisurely journey down on Burnt Stew and enjoy the view of Black Tusk. Also make sure to check out Little Whistler Peak serviced by the Harmony Express six-passenger high-speed chair that will carry you to the top in minutes. For those chasing vertical, it will allow you to quickly increase your numbers if you can master this terrain. Whistler Village located at the heart of the resort, hosts an impressive collection of accommodation, shopping, dining and nightlife. You’ll also find a number of family-friendly activities, such as ice skating, tubing and sleigh rides nearby. As an option, you can choose to stay in one of the nearby communities that are part of the Municipality of Whistler. Each is easily connected to the village and the mountain by BC Transit, we suggest you check out their website found in the Helpful Links Section below for schedules and fare Information. Note: transit is free within Whistler Village proper and a fare is charged for transit to the outer limits. If you are looking for something completely different, experience the thrill of the Whistler Sliding Centre, the site of the bobsleigh, skeleton, and luge competitions for the 2010 Olympic Winter Games. A trip on the Peak 2 Peak Gondola that connects Whistler Mountain to Blackcomb Mountain is a must. On a clear day, you can see stunning 360-degree views of snow-covered Whistler Village, soaring mountains and the ski fields below. There are several Gondola cabins, which offer glass bottoms, which will give you an even better view of the incredible surroundings. 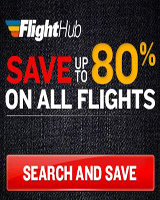 8:30am to 3:30pm : Hours maybe subject to change.